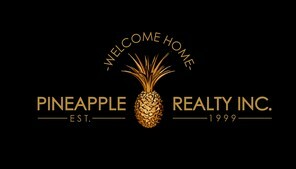 Sellers – Pineapple Realty, Inc.
A great deal of the marketing success of your home depends on you. For example, the way you prepare your home for sale has a direct bearing on how much a buyer will offer for the home. Homes in pristine, move-in condition always command higher prices than those which need “work”. The rule of thumb is that the less the buyer has to do to move in, the better.Since showings can take place at a moment’s notice, you must also keep the home picked up. You have to have the home in “show” condition at all times – clothes off the floor, no smoking in the house, dishes put away, etc. Everything must be sparkling clean and fresh-smelling. Every morning, rally the household for a quick 5-minute pick up, so the home will look nice while you are at work or away.Many people hire a REALTOR® because they know the agent and broker bear the up front costs of advertising and marketing the home. But the presentation of the home is strictly the seller’s job. Some expense must be expected, whether it is painting the home inside and out, planting fresh flowers, or paying to have minor renovations done. We provide a comprehensive guide for selling property which includes an Easy Exit Listing Agreement. We assist in “staging” your home for sale, and, when appropriate, we will bring in the services of a Home Staging professional to make suggestions, as well as a landscape professional for curb appeal, if needed, to improve the marketability of your home. 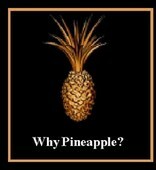 Pineapple Realty agents believe in “service after the sale”. Because we focus on building long lasting relationships and consider each of our clients part of the Pineapple Realty family, you will remain in our Preferred Sellers Program even after the sale. Each month, you will receive one of our informative newsletters, receive special discounts and have access to our preferred providers, participate in our annual events, and much more! With us, there is no lengthy listing required in order to enhance listing opportunities. See our Easy Exit Listing Agreement. We do everything every REALTOR® does to market your home, but, in addition, we use aggressive marketing techniques which most Realtors don’t use. We market your home 24/7 on the Internet at Pineapple Realty, Inc., and several other sites including Realtor.com, zillow.com, cyberhomes.com, househunter.com, yahoo.com, and many more. Our sellers have the benefit of industry professionals and innovative technology as part of our selliing team, including professional stager, professional photographer, esigning technology to expedite the transaction process, professional landscaper, remodeling contractor, and IT technologist. We employ direct marketing as well as Internet marketing to sell your home in the least amount of time for the most money. Tell us about your property and we’ll go to work for you TODAY!